This week the final GA of JBoss EAP 6.1.1 was released. Previously I had updated the Customer Evaluation Demo to run on JBoss EAP 6.1.0, so time to take a step forward. 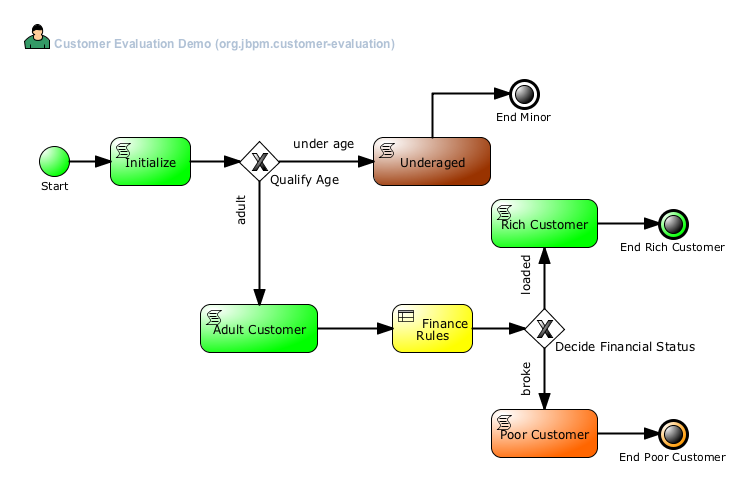 The project is available on Github at https://github.com/eschabell/brms-customer-evaluation-demo/tree/v2.1. You can retrieve this with a simple 'git clone git://github.com/eschabell/brms-customer-evaluation-demo.git' and 'git checkout v2.1', after which you can follow the step-by-step guide found in the Quick Start Guide. This is provided in both ODT and PDF formats. It is all kicked off by the init.sh script you will find in the project, which is quite verbose and points you to the various steps you might need to take should you have chosen to not to read the provided Quick Start Guide.